SNAFU! : SU-57. Threat to Western Air Power or Flawed Beyond Recognition? SU-57. Threat to Western Air Power or Flawed Beyond Recognition? Everyone has an opinion on everything. The purpose of this post isn't to change your mind but to give you an inkling into my thinking of the SU-57. Some think that it's a threat to Western Air Power while others believe its flawed beyond recognition. I'll let the aviation bubbas on the page duke it out on the technical details but I think we should step back and think about how it fits into the Russian battle plan, their observations of our own stealth programs and how they view their own needs. 1. I think the Russians have followed US stealth development closely. They've watched the development and employment of the F-22, F-35 and B-2. While they're probably impressed by the technical achievement I believe they're stunned by the cost. That plays a role in how the SU-57 came to be. 2. I surmise that the Russians decided they needed a follow on to the SU-27 family of planes. They wanted an evolutionary advance but decided not to stomach the cost of full blown stealth. Remember this. In Europe they stand basically alone. If the unthinkable actually happened then numbers would count. An all stealth air force would be (from their observations) crazy expensive and couldn't provide the utility they needed. Good enough is good enough for their forces plus numbers always count. 3. 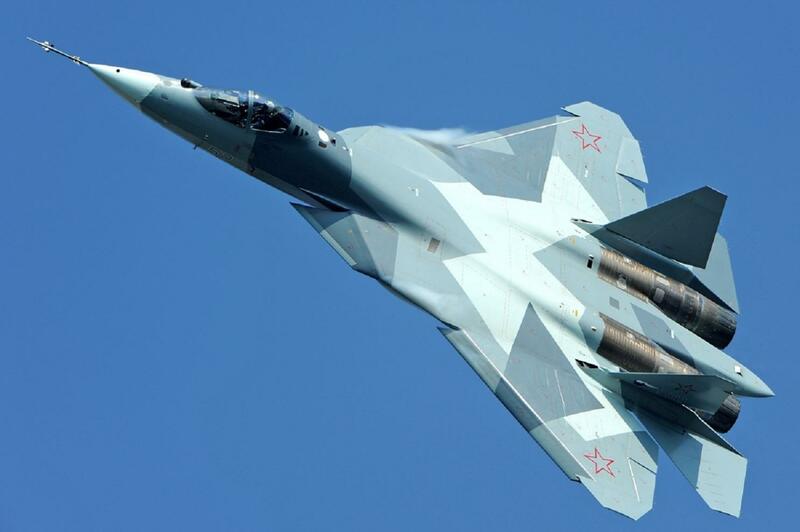 I also believe that the Russians are not sold on the longevity of stealth as we're currently pursuing it. We know that they've dabbled in plasma stealth, they're pushing hard in the field of electronic warfare and they have excellent, world class anti-aircraft missiles. You add all that together and the SU-57 is as it was designed to be. A follow on to the SU-27 family of jets with a moderate degree of stealth characteristics to make it formidable while retaining classic fighter performance. It flies high, fast and far. Just like the SU-27 we can expect it to flex into a ground attack role and naval strike is probably going to be part of its playbook into the future. Was it ever designed to be a F-22 or F-35 killer? Yeah in the same way the SU-35 is designed to be an F-22 or F-35 killer. Is it designed to be the ultimate stealth fighter? No. It's got limited stealth but for the Russian application I believe its good enough. The real problem for the SU-57? The Su-35 is good. Real good. Considering Russian missiles it can handle any standard Western fighter and probably the F-35 too. As for the Russian way of war with regard to the SU-57 (or even the SU-35) we can expect them to go after our air tankers first. The F-35 is still short legged. KS-172's will probably fill the air. For all the talk of the F-35 playing quarterback for attacking forces I still believe that AWACS will also be on the menu. While the Pentagon is working hard to clear the kinks out of the F-35 I'd bet body parts I highly value that the Russians are working hard on improving their IRST systems to get increased clarity. Being undetected will be harder and harder for stealth aircraft that are dogging IRST instead of radar returns. Additionally it's gonna happen. Someone will develop a long range infrared missile. Don't know how it will work but I'm betting that the range at which AIM-120's are launched will be equaled by someone's long range infrared missile. All of the above is simply a few musing I put together and the aviation guys can tell me how far off I am, but my guess is that the SU-57 is neither good nor bad. It's simply the evolution of the SU-27 family and is what the Russians need for their next jet...assuming they don't scrap it all together and head down a different path because what they have will get the job done in their eyes.